‘Young people may prefer driving a cab to pursuing engineering. 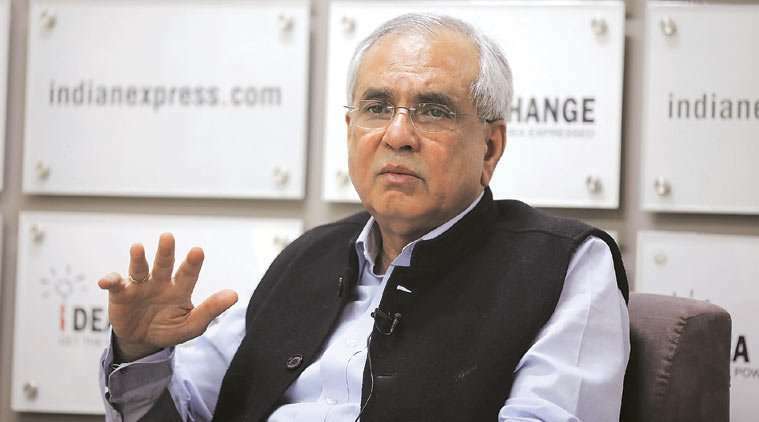 This is a sectoral shift… need to track carefully’: Rajiv Kumar, NITI Aayog Vice Chairman - Robolab Technologies Pvt. Ltd. There is a lack of due diligence on the part of the relevant regulator. The licenses for private providers of education have been given without the due diligence required, said Rajiv Kumar. Fifty per cent of BE/BTech seats are going empty and only 18% of those graduating are deemed employable. What do these numbers mean to you, as an economist? First, the data is of the past five years. So it’s not a comment on the current situation. Clearly, there has been a decline in demand for engineering graduates. What this means to means to me is that we need some agency or mechanism that can better anticipate demand for different skills and vocation and give that feedback to the education sector. Also, perhaps, the overall demand for engineers has gone down in preference to other skills. We cannot make a generalised statement about the economy based on data of one sector. Will this crisis affect the country’s labour market? This is something that has happened and the shift must have already taken place. For example, young people coming out of high schools may prefer driving an Uber or an Ola (cab) or joining some e-commerce firm to pursuing an engineering degree. This is a sectoral shift that might well be happening in the economy, towards emerging sectors which are not the traditional factory manufacturing jobs. This is what we need to track very carefully and maybe we need much more high frequency and desegregated data for us to be able to understand the problem and prescribe a policy for the same. What do you think led to the problem of vacant engineering seats? There is a lack of due diligence on the part of the relevant regulator. The licenses for private providers of education have been given without the due diligence required. This hasn’t happened just now, but over the last 10 years. Our education sector has been allowed to slip and (it has) also become unrelated to the (market) demand. I know the current government is trying to correct that. You mentioned the need for a mechanism to anticipate demand for different skills. In Germany, for example, their industry associations do this job. Two, if we can ramp up our apprenticeship programme, that is a very good indicator as to which part of the industry is taking more apprentices. They (the industry) would do that only in a forward looking way. The third (mechanism) would be to have a counselling section in schools as you have in America. One of the jobs of the counsellors there is to keep a close eye on emerging job opportunities. That’s how they counsel their children as to which areas they should pursue. Do you agree with the assessment that the vacant seats crisis has devalued the BTech degree? Even in the 60s, there were engineering degrees and there were engineering degrees. The job market recognises the quality of your degree and, in India, there is only a very small triangle at the top of the pyramid that the industry readily absorbs. An engineering degree (in the past) had provided a relatively greater sense of certainty in terms of a career option. That certainty has changed, but the nature and composition of skills that are required of a graduate are going through a big change. Will the poor quality of engineering education affect India’s competitiveness? My view of competitiveness is broader. The example that I would give is of Infosys, which was so competitive that they didn’t mind training 90,000 people a year. If you achieve competitiveness or have sources of competitiveness in other dimensions, then this (problem of vacant seats and poor quality of education) can be relatively overcome. But yes, if combined with other weaknesses as well, then of course it does affect our competitiveness. Given the current state of engineering education, what should be the government’s roadmap for improving quality of education? A much more watchful and active and diligent regulator and the openness to participating in global tests and competitions. By diligent regulator, I mean you have to weed out fly-by-night operators and crass commericalisation of education will have to be prevented. That apart, we need a much smoother relationship with the industry through the apprenticeship programme, which is what countries like Germany or Japan excel or thrive on.